This event offers an intimate tour of some amazingly decorated homes for the holidays and an up close and personal invitation to engage with some of Johnston Counties best artists! Each home will have one or two local artist within the home where you will be able to peruse and purchase lovely holiday gift items. As always, all proceeds will support the Dorothy Demboski Art Teachers’ Assistance Grants. 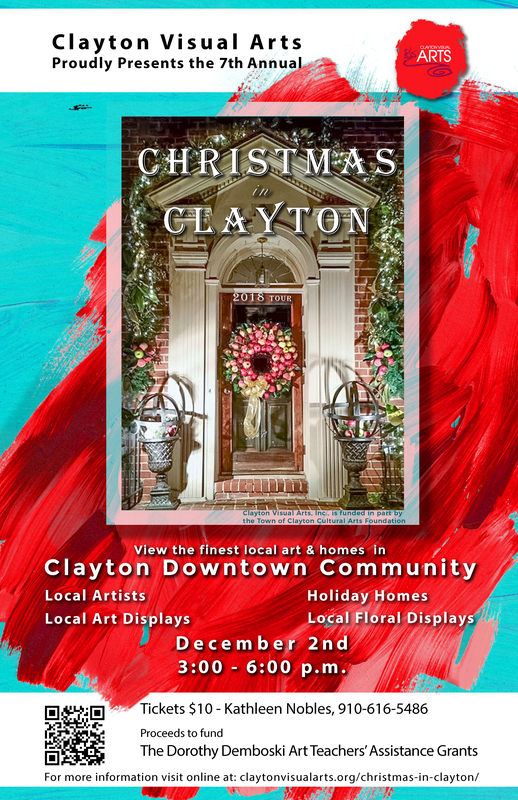 Thank you for your interest in Christmas In Clayton. Online sales are closed. You may still purchase tickets at The Women's Club.